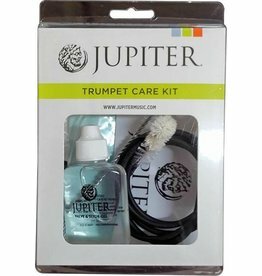 The Jupiter Trumpet Care Kit includes Polish Cloth, Valve & Slide Oil, Tuning Slide Grease, Mouthpiece Brush, Flexible Bore Brush, Valve Casing Brush, Case ID Tag. 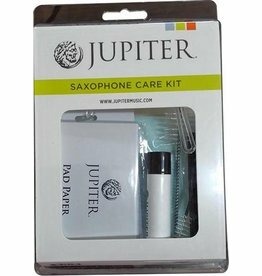 The Jupiter Saxophone Care Kit includes Polish Cloth, Body Swab, Mouthpiece Brush, Duster Brush, Cork Grease, Reed Holder, Pad Paper, Case ID Tag. 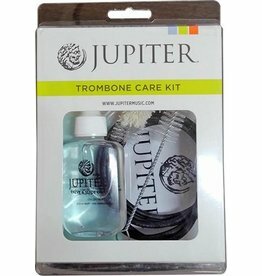 The Jupiter Trombone Care Kit includes Polish Cloth, Valve & Slide Oil, Tuning Slide Grease, Mouthpiece Brush, Flexible Bore Brush, Case ID Tag. 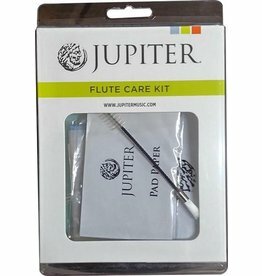 The Jupiter Flute Care Kit includes Polish Cloth, Body Swab, Duster Brush, Pad Paper, Case ID Tag.